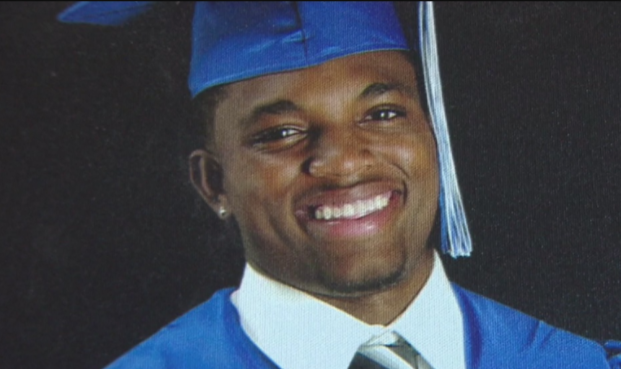 ARLINGTON, Texas -- A Texas city has agreed to pay $850,000 to the family of an unarmed black college football player who was fatally shot by a white police officer responding to an August 2015 burglary call, CBS Dallas/Fort Worth reports. The Arlington City Council will formally approve the settlement Tuesday night, settling a wrongful death lawsuit from the family of 19-year-old Christian Taylor, who was fatally shot by former Arlington police officer Brad Miller on Aug. 7, 2015. Surveillance video from the Classic Buick GMC dealership showed Taylor, who was unarmed, jumping on automobiles and crashing a car into the showroom. Six officers were on the scene, including Miller, along with his training officer, Cpl. Dale Wiggens. Miller entered the showroom without telling his training officer where he was going. The city's police chief, Will Johnson, fired Miller several days after the shooting. A grand jury later declined to indict Miller.